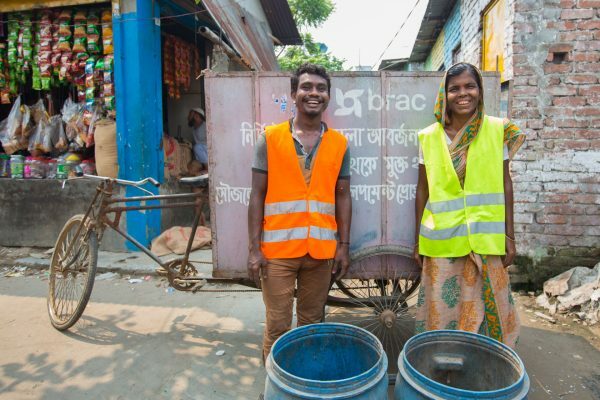 Many mapping initiatives are ramping up in the developing world, but in urban megacities like Dhaka, the slums remain largely uncharted–even by mapping giants like Google. In Oklahoma (where one of the authors is studying), it’s easy to look up almost any location on Google maps and choose whether to look at the street or satellite view. The availability of such detailed information has spawned new GPS-based products, apps, and business models that help you find restaurants, hospitals, or even specific people wherever they are. Many mapping initiatives are ramping up in the developing world, but in urban megacities like Dhaka, the slums remain largely uncharted–even by mapping giants like Google. Yet more people live in Dhaka’s slums than in the state of Oklahoma! When millions of people aren’t on the map, they are invisible to authorities and easy to ignore. Maps make the scale of slums and the working poor quantifiable; literally making them count, and thus are important for moving towards more inclusive urban design and policies. Traditionally, mapping has been considered an expensive undertaking, because it required instruments with GPS. Precise maps of Bangladesh’s slums exist, but they are not user-friendly for a general audience. Inspired by frugal mapping initiatives in Mumbai and the recent local achievement of Dhaka’s first digital bus map, BRAC’s Social Innovation Lab decided to capture Korail slum on an interactive digital map that was primarily designed to be easily accessible, added to, and evolve over time. We worked with three interns: Cyrus Khan and Mahmadul Islam Chowdhury from BRAC University and Mazhabeen Mahfuz from the University of Bristol. BRAC Research and Evaluation Division provided guidance on the survey design. 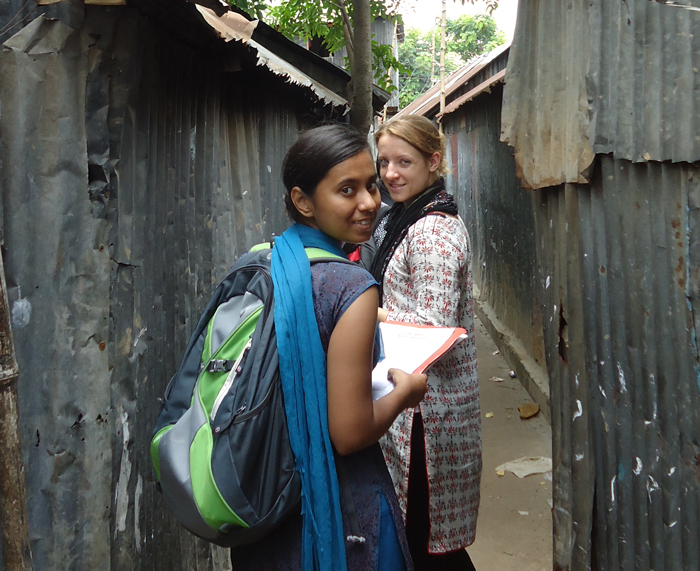 Mazhabeen Mahfuz and Rebecca Stevenson collecting data for the map. 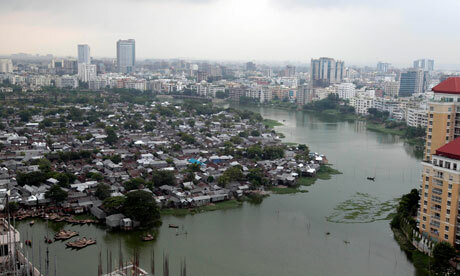 Korail Slum lies on approximately 0.25km2of reclaimed land beside Banani Lake. It is home to an estimated 40,000 people. 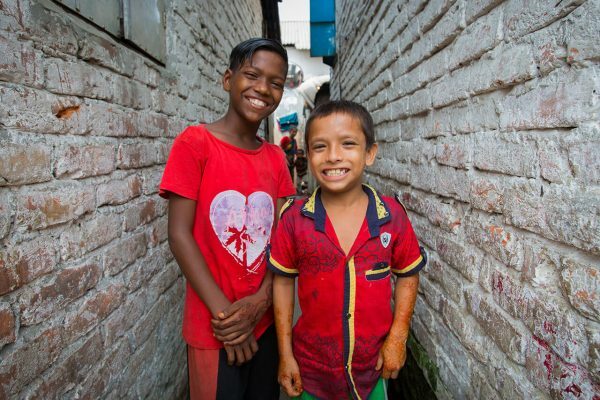 BRAC has many programs inside the slum, including education, financial services, and health care. As part of their normal activities, staffs create hand-drawn maps with basic landmarks. These maps are made in consultation with the community, a process that both helps staff learn about the social dynamics of the area and builds rapport with local residents. Although the creation of paper maps is important to BRAC’s overall process, the final products cannot be widely used. We made a digital map of Korail using Open Data Kit (ODK), a free and open-source set of tools to collect, aggregate and visualize data. At first we designed the questionnaire on a computer using “ODK build,” a simple questionnaire development tool. Then we went to the slum with two android phones for data collection. A frontline BRAC staff person accompanied us to help navigate the labyrinth of narrow lanes. Over the course of three weeks, we spent about 18 hours collecting data. After filling out the questionnaires, the data was immediately sent to the database. We exported the data as a .CSV file for further analysis and a .KML file to directly upload on Google Earth. Using customization options provided by Google Earth, we categorized the data and created a community resources map of Korail slum. With the help of google fusion, we also did some basic analyses of resources. Summary of our findings about the quantity and types of schools in Korail. Overall, we found the mapping process to be quite easy and valuable. New tools like ODK enable data collection via smart phones, making it easy to go paperless without having any computer programming skills. In slums, where there is such density of people and resources that are difficult to easily observe, digital mapping can provide an important planning tool to design new programs, find gaps in coverage, and avoid duplicating the work of other organizations. And this map is just the beginning. We hope to combine it with other mapping initiatives, such as open street map, collecting data on water and sanitation on the same community. Adding household-level data would be exciting—are there enough primary schools for all the children living in the slum? What are the primary occupations of men and women? Is this slum highly mobile, or do people stay for a while? Who are the ultra poor? Annual snapshots of this kind could also allow us to track how the well-being of the households and community changes, which at the moment is a significant challenge. Korail is just one of Dhaka’s thousands of slums. Imagine the power of having all communities mapped out like this, easily accessible for individual organizations and the government to access as they develop plans and policies. 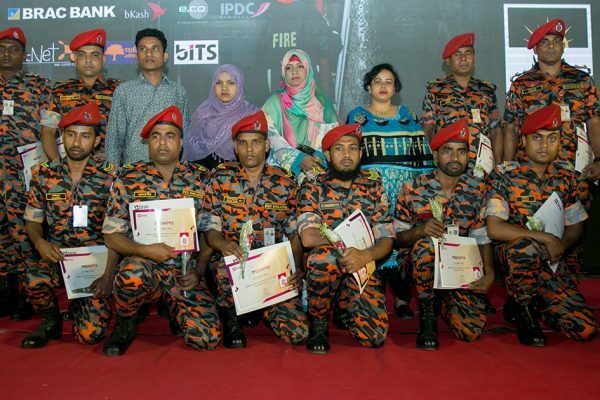 Ultimately, all of Dhaka’s residents can benefit from a digital map that truly reflects the city’s rich ecosystem. In fact, in countries such as Belarus, companies like Nokia are partnering with local volunteers that are eager to see their countries better represented online. The CEO of Nokia, Stephen Elop, wrote, “We’re creating maps that are fresh and accurate down to real-time traffic information and the curvature of the roadway. So, no matter where you are — Boston or Belarus — you can make informed decisions about navigating your daily life.” In Dhaka too, we are hoping to make it slightly easier to navigate daily life. Rebecca Stevenson just completed an internship with the Social Innovation Lab and is studying at the University of Oklahoma, USA. 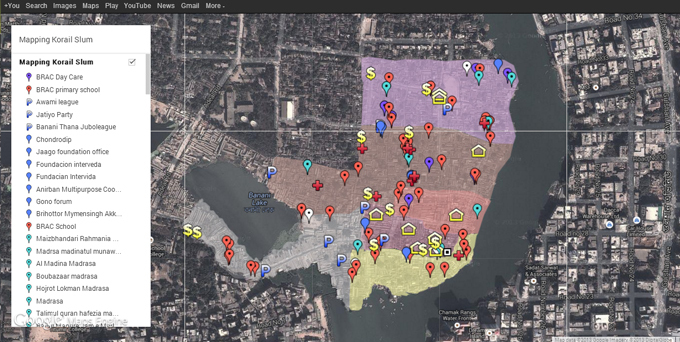 This is a cool map of a Dhaka city slum. The population density of 160 K per mile Sq. is incredible. Is this a way to define what is and what is not a slum? 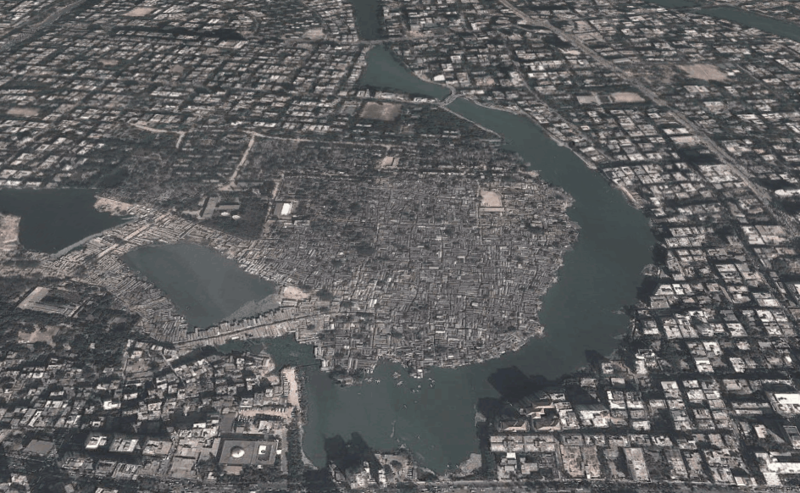 What is the the average population density of Dhaka city? Which is surely one the fastest growing and densely populated cities in the world. I would like to know that. 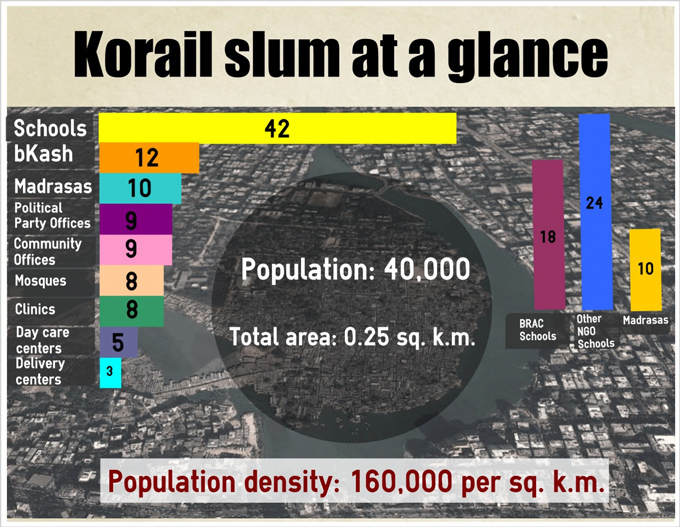 Some other surveys found 250,000 population on 197 acres of Korail slum. So, I wonder if this mapping has been done in one part of the Korail or it includes the whole of the area. A van driver and his helper who collect door-to-door waste in Dhaka Match Colony.